This week we are featuring Carolyn Eby. Her two year old classroom was learning all about trains and decided to spend a day focusing on the Little Red Caboose. 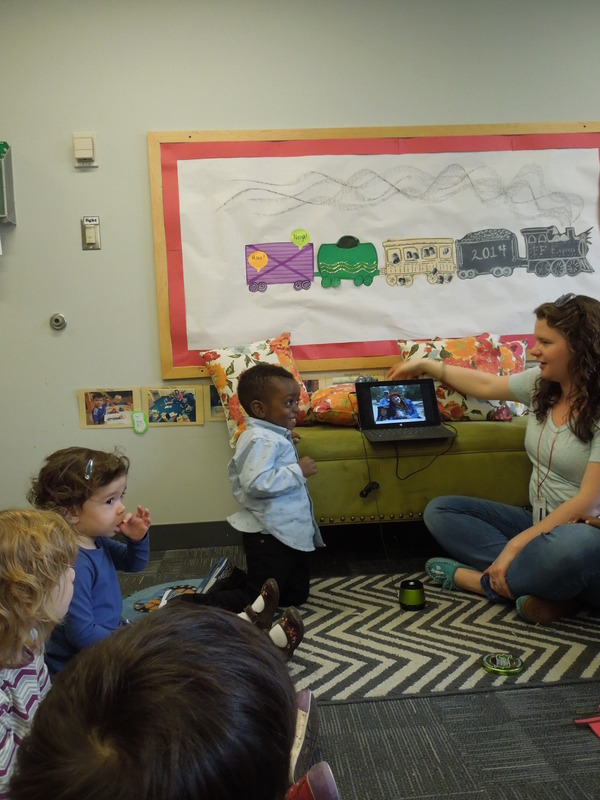 The teachers had decided to focus on this topic because the children were showing continued interest in trains. They were pretending most objects were trains and wanted to talk about them during their walks in the community. In addition, one focus that SEEC toddlers have is walking safely together. Since they are just learning how to walk on “trains” there is a lot of interest in what trains are all about, how they stay together and, of course, train safety. This unit was able to connect all these aspects into one cohesive lesson. Below you will find a reflection from Carolyn and images from some of her lessons. Our class was spending time learning about the different parts of a railroad train such as the locomotive, tank car, and so on. We had spent the week looking at different cars and their various functions. On this specific day we were talking about the Little Red Caboose and how it keeps everyone safe. I wanted the group to understand the safety function of the caboose and its location in the order of the cars. 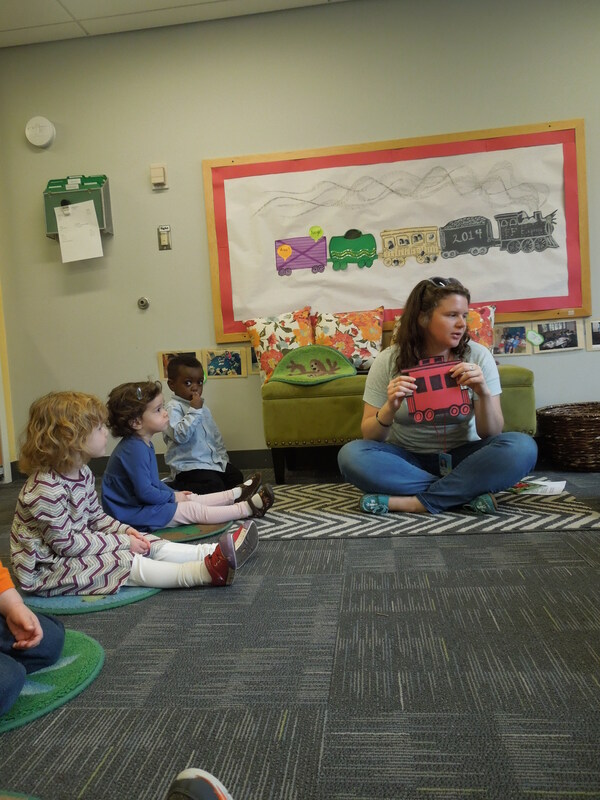 The class has a great sense of compassion for each other and characters in books and by personifying the caboose through the book Little Red Caboose by Marian Potter I was able to illustrate how the train “keeps an eye out” for the other cars. 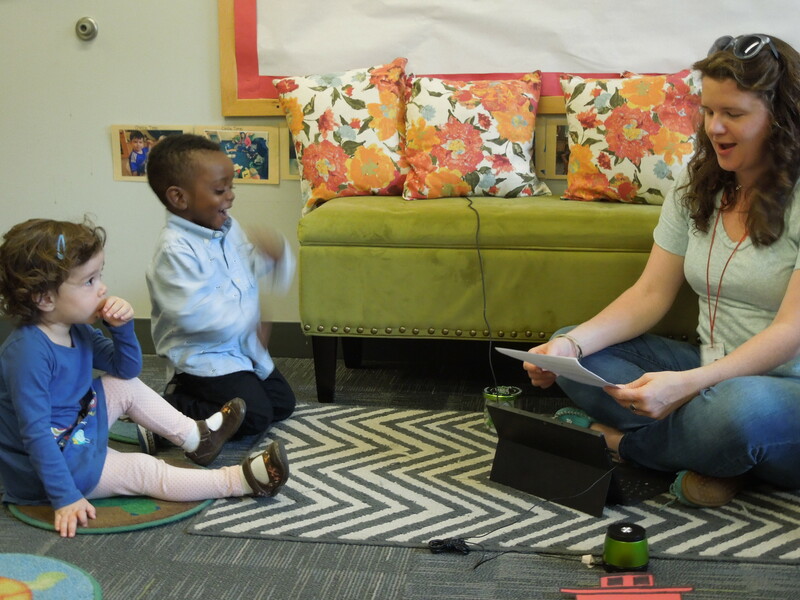 We were also able to work on some developmental goals by involving dance and call and response during our circle. I found that the most successful part of my lesson was the connection between the book and the work of art. 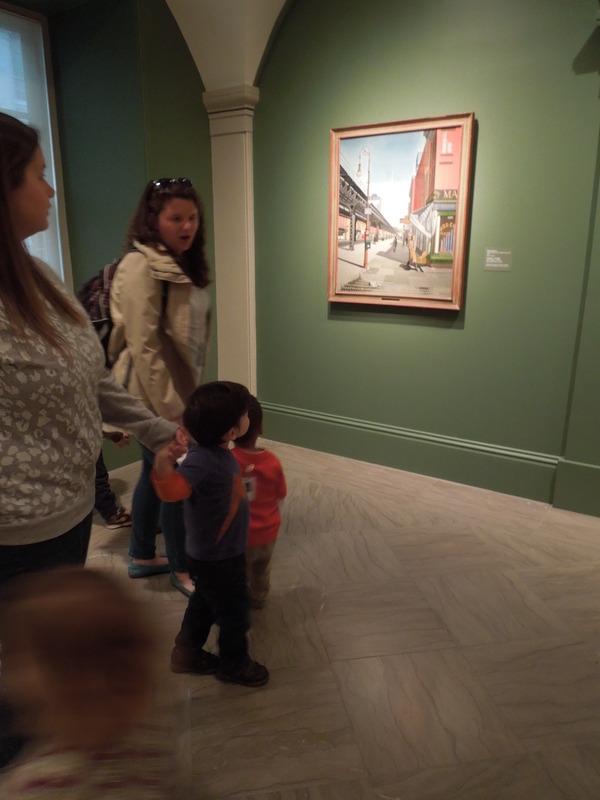 We visited the Smithsonian American Art Museums to see Train in Cole Town by Jack Savitsky. Both the illustrations and painting had a funky feeling which made the flow from reading the book to looking at the art work very easy for the group to connect. It was really fun to spend time looking at the painting, imagining how it could be an extension of the text we were reading! Surprisingly, right around the corner were several other train paintings! We decided to stop and spend some time discussing what we saw in those works. We wondered about the people riding in the passenger trains and where the rail road tracks may lead. These conversations were exciting and included thoughtful connections to previous units since the class had been spending so much time working on trains! Sometimes the best parts of a lesson are not planned! It was difficult for me to think of an age appropriate activity that I could pack up and take with me to the museum. 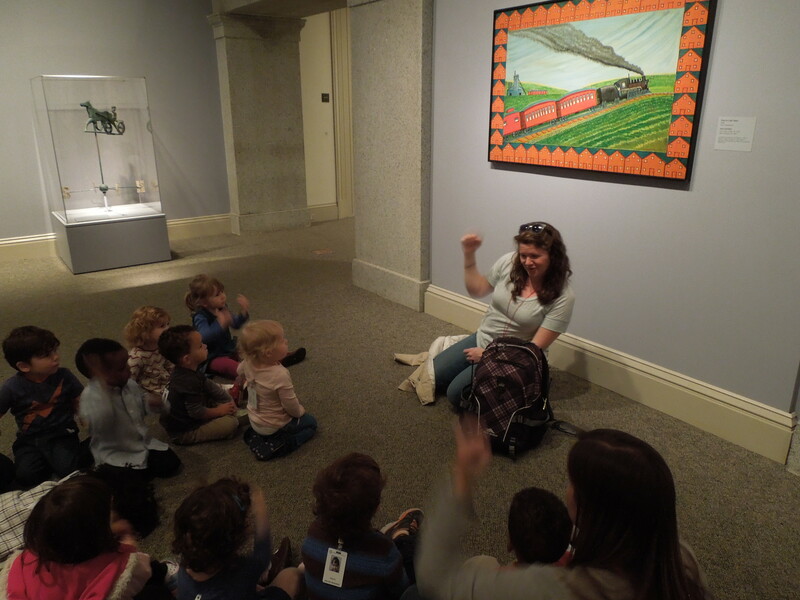 I loved singing with the kids and reading them a story, but I feel like the lesson could have made a greater connection with the group if they had a hands activity to do in the gallery. Also, I would have probably spent more time talking through the lyrics of the song which may have resulted in a more dynamic discussion. Carolyn introduced her topic for the day by creating a small red car to add to their bulletin board train. She reviewed the parts of the train that they had previously studied and asked the group where they thought they should put this car. Carolyn then explained that this car was a caboose and it had a very special job. Carolyn wanted to provide multiple exposures to the same song so she also sang a slightly different version with the class. She also showed them a few train movements to do while they were singing. The group loved them! 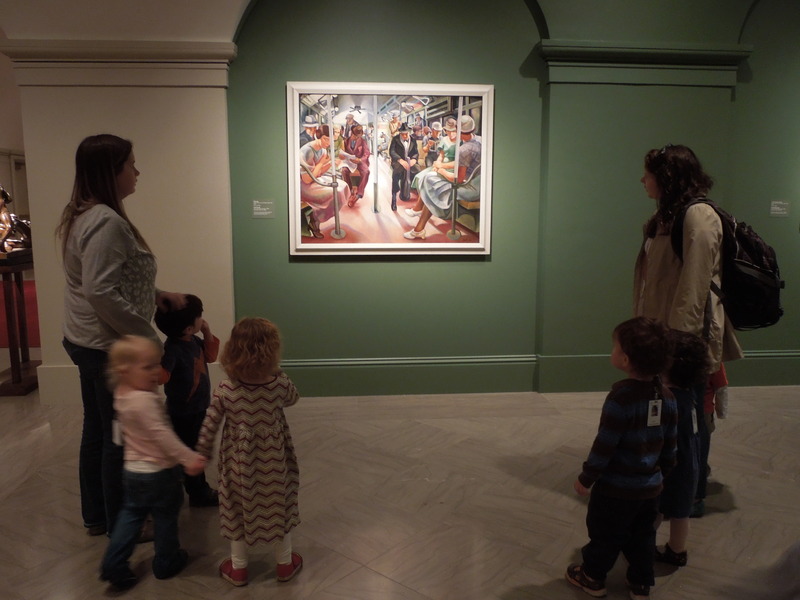 Following the story, the class walked up to the Smithsonian American Art Museum to see Train in Cole Town by Jack Savitsky (http://bit.ly/1xh3FWZ). They spent some time looking at the work and talking about the different parts of the train. They thought about where it might be going and how quickly or slowly it might get there. Carolyn then read The Little Red Caboose by Marian Potter. Carolyn asked the group if they could see similarities between the book and the painting. 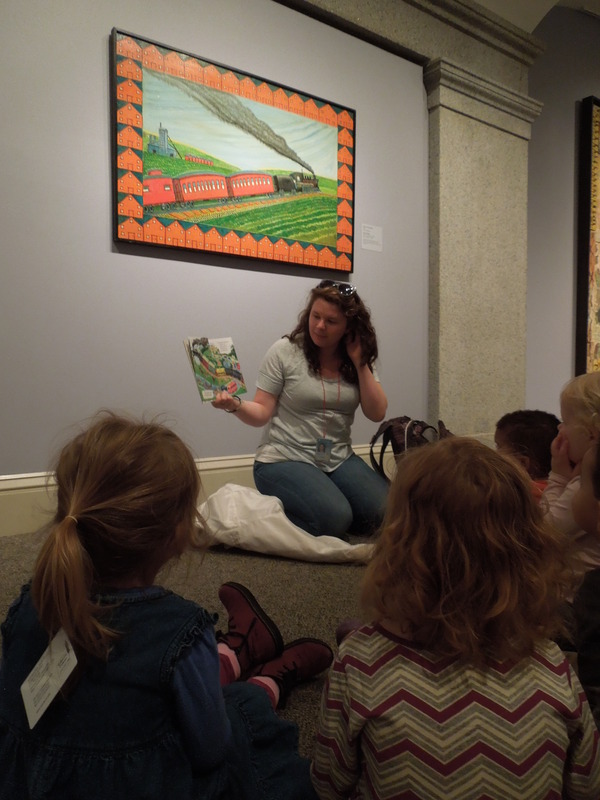 The children had a lot to share and were able to talk about the role of the caboose in both the book and the work of art. On their way out of the museum the group spotted a few more train paintings. Subway by Lily Furedi (http://bit.ly/1DPTbDW) served as a great way to review passenger cars. The group talked about what the people were doing on the train. The children also spotted train tracks in Third Avenue by Charles L. Goeller (http://bit.ly/1BUh9yj). They wondered where they were going and what kid of train would use that type of track. 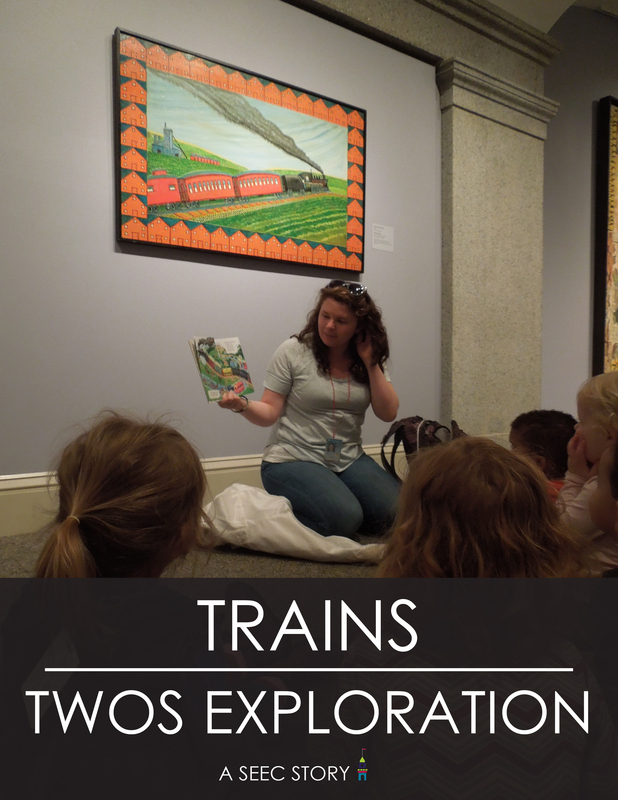 The class had a wonderful time studying trains and has now chugged along to their next topic. Check back next week for another teacher feature! 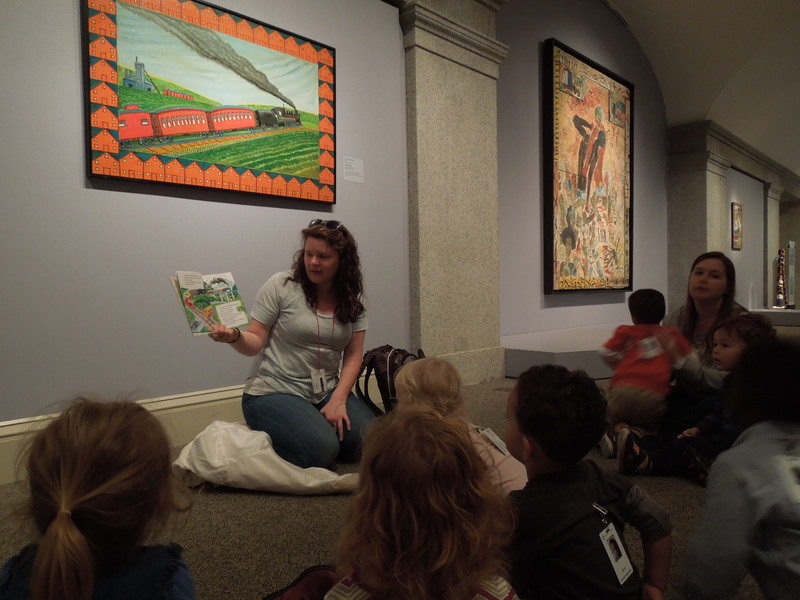 This entry was posted in Early Childhood Education, Museum Education and tagged Early Childhood, golden books, learning in museums, Little Red Caboose, Museum Education, museums and early learning, Object-based learning, SAAM, teacher, Train. Bookmark the permalink.